DbVis DbVisualizer is a Java-based universal database tool for developers, DBAs and analysts. It can be used on all major operating systems, accessing a wide range of databases. 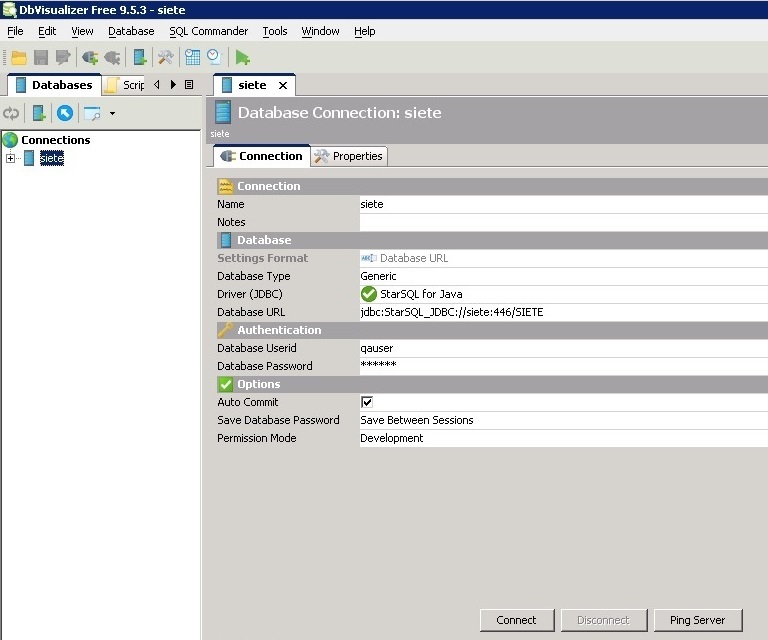 The StarSQL for Java JDBC driver can be used with DbVisualizer to access DB2 data. This document explains how to configure DbVisualizer to use StarSQL for Java. Start the Driver Manager dialog using the Tools->Driver Manager menu choice. Click the Plus sign to add a new driver. For Driver File Paths, click the folder icon and navigate to the location of StarSQL_JDBC.jar. 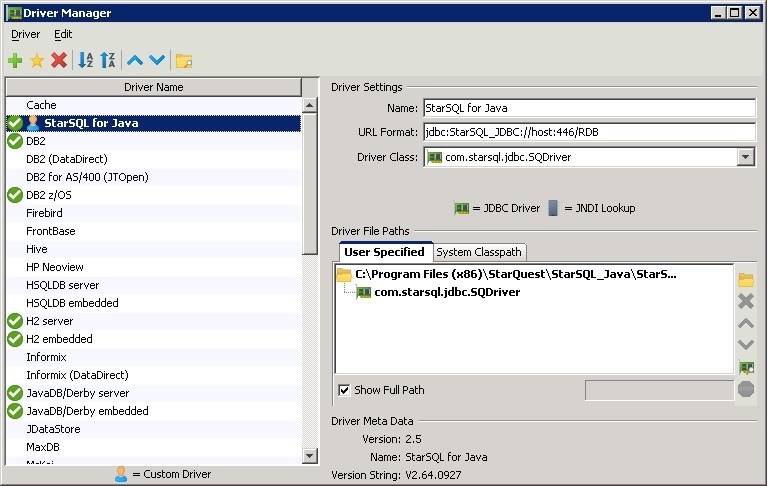 The Driver class com.starsql.jdbc.SQDriver is automatically detected and displayed in the Driver Class field. Start the Connection Wizard using the Tools->Connection Wizard menu choice. Enter a descriptive name for the connection alias and select Next. Select StarSQL for Java from the dropdown for Database Driver and select Next. NOTE: Ping Server does not function when the connection is configured in this manner. Copy StarLicense.properties to the lib subdirectory e.g. C:\Program Files\DbVisualizer\lib.